Pageant Shows and Calypso Shows. It all takes place during Anguilla's Carnival in August. 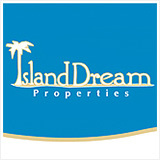 For the most up to date Carnival schedule, check our Anguilla events section. We update this regularly and post the Carnival schedule here every year. 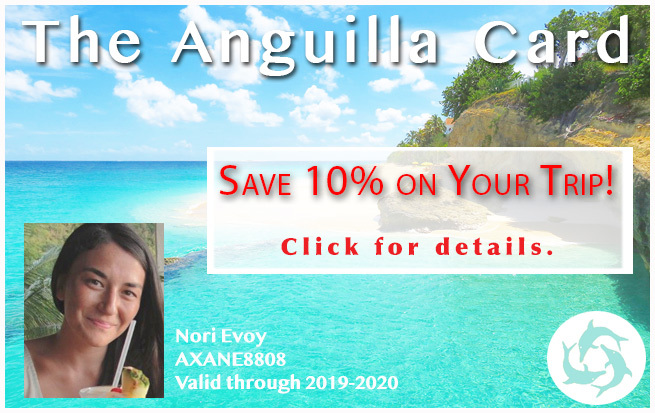 Anguilla Carnival's Big August Monday! It's pre-dawn and it's the first Monday of the month of the of August. Do you know what time it is? It's time for Jouvert Morning! Jouvert Morning is the big and loud kick-off to "August Monday," a day that is the height, nay the pinnacle of August Carnival in Anguilla. The Valley streets awake early, and I mean pre-dawn, alive with the sounds of Soca and Calypso vibrating from popular local bands. Hundreds of people congregate in The Valley early Monday morning to prepare the August Monday parade floats, which carry these local bands. They get ready to travel for the "Road March" all the way from The Valley to Sandy Ground. The local bands set up on their respective floats and drive down. If you're not in the band, you're following the trucks by foot! All are revved up and dancing in the streets from before 5am. One of my close friends, Kristin, who attends Carnival and lives near The Valley, recalls hearing the music start up at 5am sharp. Whatever happened to "island time"? Nobody's using that clock on Jouvert Morning! Kristin was energized by the upbeat music and celebratory people. Going back to bed was out of the question. Even at 5am! Jouvert Monday draws you in and sends you down from The Valley to the best place to congregate and cool off, Sandy Ground. The Road March is said to reach the Sandy Ground area around 10-10:30am and then continues on down the hill to its finish at Sandy Ground. Starting at 5am, that's already 5 hours of Jouvert and it's still morning! Down on Sandy Ground, anchored boats line (or pack!) 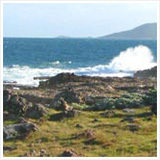 the bay's sandy shores. Boats come from all the nearby islands! The beach has tents set up ready to serve hot, local food favorites like ribs and chicken, fries and Johnny Cakes, Heinekens and rum punches. A nice cold bottle of water will cool you off, but a dip in the sea at Sandy Ground is how most people avoid the heat on August Monday. Of the sights you see during Carnival, this one sticks with you the most! Intermingled between the masses of boats and people, everyone finds their spot and gives a sigh of relief as the water refreshes and recharges. The next attraction? The August Monday boatrace. 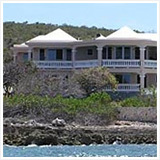 This Anguilla event is fun, and a little wild too! The August Monday boatrace is an exciting one and counts toward the Champion of Champions boatrace which wraps Carnival week and the season. The race starts at Sandy Ground in the afternoon, while the revelers continue to party and troll the beach. Later in the evening the Road March bands perform in what's called the Caribbean Beach Party. In addition to the local music, bands are brought in from outside of Anguilla for this event. They might be from as close as St. Thomas or Trinidad, or far as far as The Congo! This concert of several bands, dancers and musicians thumps late into the night, right in the sand at Sandy Ground. All of that activity, and in just one day! 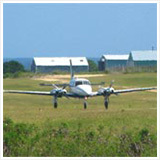 There is an Anguilla Attraction the next day, too! And the next, and the next. The calm that follows August Monday offers a couple of more quiet days but has events each night in The Valley. This calm is much needed since Thursday is official holiday and a busier day out on Meads Bay. More on that later! 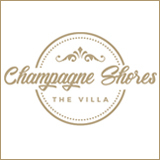 On the Tuesday and Wednesday following August Monday you will find night events such as the Teenage Pageant and Calypso Monarch Competition, and so on. While the Carnival schedule content is similar each year, the days and times will vary. For a yearly schedule of Anguilla Carnival events, click here. 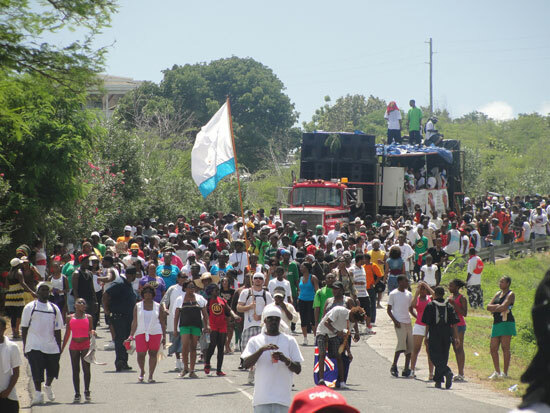 What is Anguilla Carnival's central theme, anyway? Well, besides celebrating emancipation and the freedom of self-expression, boatracting is heavily revered. 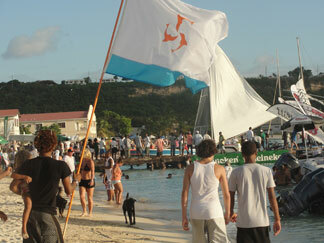 During Carnival week, Anguilla can't go too long without another boatrace! More beloved boatraces are held on the Tuesday and Wednesday after August Monday. 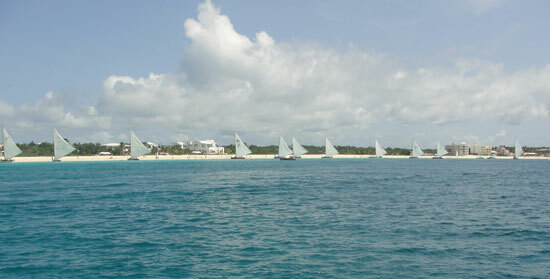 The Tuesday race is typically held at Island Harbour and the Wednesday race is from Sandy Ground. 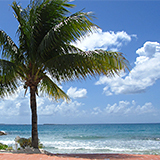 August Thursday is another treat of a day, this time on Meads Bay. Once more, like August Monday, this day is a public holiday so you are likely to see more people out and about for this day and this boatrace. 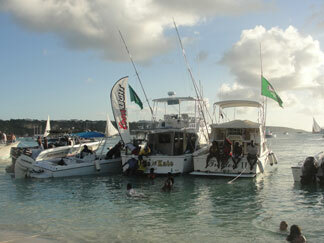 The August Thursday boatrace takes off from Meads Bay and returns to the very same spot for their finish. 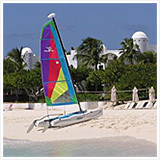 You can plan to spend most of the afternoon on Meads Bay. There you can fill up on grilled ribs and chicken, as well as local flavors of ice creams and snow cones of soursop and tamarind just to name a few! 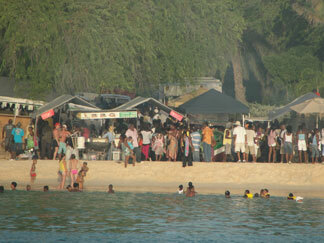 If standing around the hot grills for some ribs isn't for you, check out The Straw Hat on Meads Bay. It is one of our favorite restaurants, and a great spot to sit back with a cold beverage and take in the race from the shade. Drive back to The Valley that evening for the Miss Anguilla Pageant at the Landsome Bowl. Well if you are, and if you are a hard-working local, you are in luck! Friday is a National holiday - Constitution Day. Friday is also day for The Parade of Troupes which starts at noon (if it's on time). I hear it is such a colorful parade, and the Troupes wear the most beautiful costumes, many are hand-made and extremely intricate. It's another day of beautiful self-expression. The Valley comes to life as the parade takes over and draws a crowd. 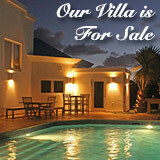 The end of Anguilla Carnival marks the real slow-down of Anguilla's off season. Once Carnival is over and food tents have been put away, and visiting boats have pulled anchor and returned home, the island quiets right down. Several hotels and restaurants will stay open through August and close in September, but many do close for a couple of months starting mid-end of August. 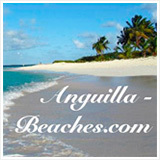 Now onto the Anguilla guide for September and October... When Anguilla island quiets right down. It is the true off season! 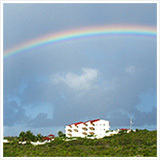 For information on Anguilla Weather In August, click here. To see the current Carnival schedule, click here.